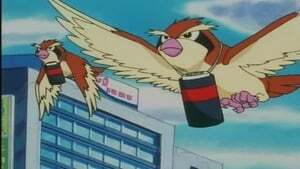 Before leaving Goldenrod City, the flamboyant producer of Poké Talk Radio insists Ash appear on Sunny Morningstar's show to talk about winning the Plane badge. After the interview, the gang saves the day by participating in a live radio drama with the Dugtrio Trio (Team Rocket in disguise!) Be sure to watch the twists and turns of the live performance as our heroes battle Team Rocket on the airwaves! Binging on too many burgers during lunch has given Ash a case of indigestion that stops him in his tracks. Unable to help their friend, Misty and Brock contemplate what to do until a miniature, seemingly magical, man shows up. He gives Ash two tablets and almost instantaneously cures Ash's aches! 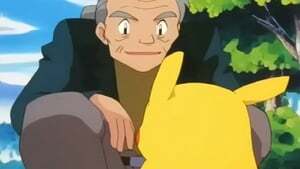 Curious about the cure, the gang head back to the small man's lab for a lesson in Pokémon medicine. Here they find out how this helpful fellow creates all kinds of useful potions with the aid of Shuckle and a speedy Pokémon named Spoopy! Episode 14 - Power Play! Enjoying a beautiful day hiking through the mountains on the road to Ecruteak City, Ash and Pikachu chase after a Ledian that speeds by them. As they pursue it along the trail, they round a bend and get hit full-blast by a Gust from Pidgeotto! Meeting the Ledian and Pidgeotto's owners, the gang finds out they've run into the Mountain Patrol, in the midst of a training session. Find out what happens when mountain-patrolman, Benji and his courageous Ledian lead Ash, Misty and Brock on an important search-and-rescue mission! As our heroes take a brief rest near a river, Ash sees a Snubbull rush by on the opposite bank. 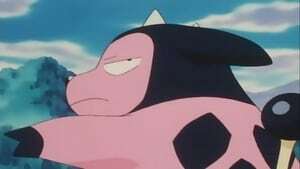 This wasn't just any Snubbull either, this one was Madame Muchmoney's! 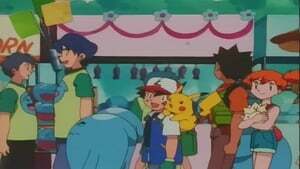 Ash, Misty and Brock follow Pikachu as it picks up Snubbull's scent and leads them in the search for the wealthy woman's Pokémon. Our heroes are racing against time when Team Rocket sets a trap for Snubbull, hoping to get a cash reward from Madam Muchmoney. Don't miss Snubbull's reaction when it encounters Team Rocket... it's so exciting and new, it's evolutionary! Episode 22 - The Apple Corp! Episode 27 - All That Glitters! Episode 33 - The Stolen Stones! 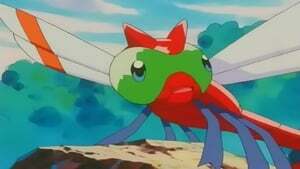 Knowing our heroes are still en-route to Olivine, Team Rocket lies in wait. Dressed as scientists, they explain they've just repaired the amazing Poké Pod. To test it out, Pikachu is placed in the pod and locked in tight. 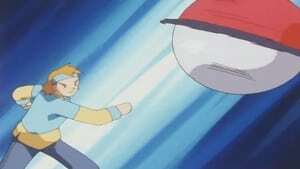 When Team Rocket reveals their true identity and runs, Ash and Co. are in hot pursuit. When our heroes catch up to Team Rocket, there isn't a Poké Pod or Pikachu in site! Realizing Wobbuffet was hiding for the handoff, Ash chases after it. In Wobbuffet's rash retreat, it trips dropping the Pikachu containing Poké Pod and falls into the rapids of a nearby river. 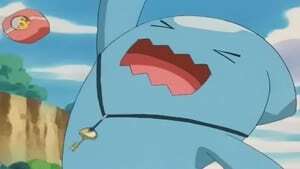 Since the only way to release Pikachu from the Poké Pod is to possess the key around Wobbuffet's neck, it's an all-out race to reach Team Rocket's blue bad-boy first. This proves problematic as Wobbuffet plummets over waterfalls, wanders through forests, gets taken for a ride on the roof of a runaway truck, blows for miles in a hot-air balloon and falls helpless to the helm of a speedboat! Who will reach Wobbuffet and the key first? Episode 39 - Control Freak! At the end of a long day, our heroes search for a Pokémon Center in a small town near Olivine City. Unable to locate one they ask a local lady for directions. She explains the nearest Pokémon Center is ten miles away! Too exhausted to extend today's journey, the gang decides to set up camp in a local park. 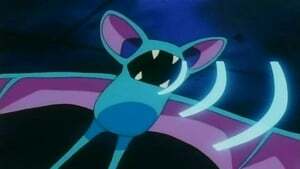 As he gets water from a nearby fountain, Brock notices a Nidorina approaching to take a drink. Running after Nidorina is her trainer, who trips and almost falls into the fountain. She is narrowly saved by Brock and immediately falls head over heals in love with him. Introducing herself as Temaku, she insists Brock and his friends stay with her at her father's house. 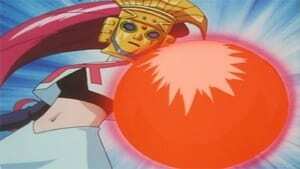 How will Brock handle a large does of his own medicine from the smitten Temaku? When our heroes happen upon an unusual formation in the middle of a grassy field, Brock believes it is a crop circle... placed there by aliens! Just then, something comes hurtling out of the sky towards them. 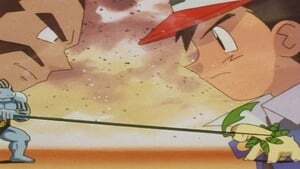 A far away voice calls down an apology for almost hitting Ash with the object. Skyler, a boy training for a hot air balloon race, introduces himself to the gang and explains he was practicing for the upcoming event. Getting a marker as close to the center of the large, circular target by throwing it from the hot air balloon is one aspect of the competition. Intrigued by the hot-air balloon racing circuit, Ash quickly makes up his mind to enter as well. When Brock reminds him they don't have a chance of winning without a hot air balloon, Skyler's father says he has something to help them out. Pulling a balloon out of his shop, he begins to fill it up and to our heroes surprise, it's a Pikachu shaped hot air balloon! 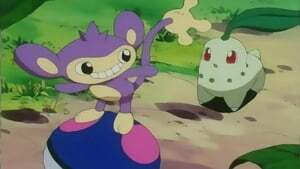 When Team Rocket decides to enter the race as well, Jessie and James sabotage several of the balloons the night before the big event. With only Team Rocket, Ash and Skyler in the running, who will end up winning the grand prize? Episode 47 - Right On, Rhydon! 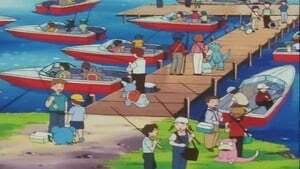 Our heroes are camped out by a lake where Ash wakes up one morning and sees a Rhydon emerging from the water. A swimming Rock-type Pokémon seems impossible, but one of the local Rhydon has indeed learned to use Surf—and a girl named Pietra is out to catch it! She's trying to complete a tunnel to a nearby town, but Rock-type Pokémon flee the excavation site whenever water drips from the tunnel's ceiling. If she had that swimming Rhydon, though, it would keep digging the tunnel no matter what! Ash and his friends offer to help, of course. After chasing a wrong lead or two, they catch up with Rhydon in the middle of the lake. 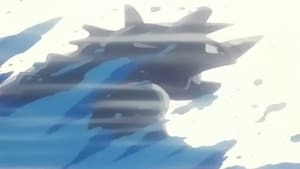 Pietra asks Rhydon to battle her, but Rhydon couldn't care less; it learned to swim so it could reach an island full of apple trees, and right now those seem much more interesting. Just as they catch up with Rhydon again, Team Rocket descends from the skies, grabs Rhydon, and flies away. 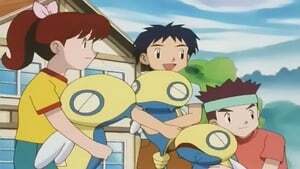 They don't get far before Ash and his friends stop their escape, free Rhydon, and send them packing. 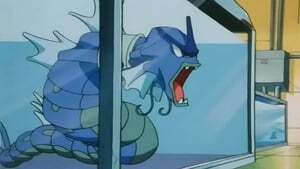 Rhydon just wants to leave, but Pietra clings to it and demands a battle. 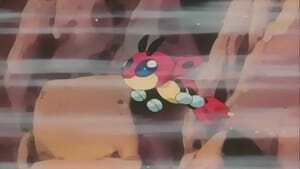 She refuses to let go even when Rhydon dives below the water, so it takes her to shore before walking away. 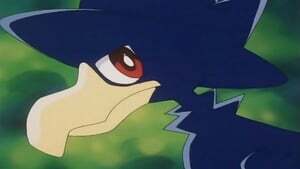 Pietra pleads for Rhydon's help one last time and Rhydon finally agrees to battle, though it takes some hard work on Marill's part to weaken it so Pietra can make a capture. With Rhydon's help, the excavation is soon complete. Ash and his friends exit the newly-completed tunnel and continue on towards Olivine City! Ash and his friends stop at an air station to get a closer look at the Leviathan 2, a luxury dirigible taking passengers on a flight around the world. The ship has landed to refuel and the crew needs medical assistance for some passengers' Pokémon, so Brock volunteers to help. The passengers are two wealthy young ladies, Madison and Alexa, whose two Kecleon are suffering from a little airsickness. 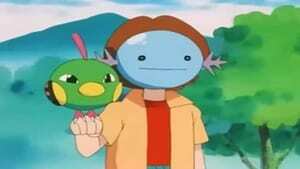 Brock's remedies make sure the Kecleon, called Greenie and Reddie, are back to normal in no time flat. 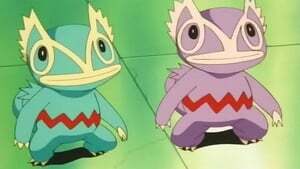 Greenie and Reddie are taken back to their stateroom, which Team Rocket then tries to rob of valuables. Greenie snatches a jewelry box back from Team Rocket and the Kecleon flee the room. As reports come in that the Kecleon are running around the ship, our heroes pitch in to help find them—Team Rocket is on the trail too, hoping to get their hands on that jewelry box. The chase leads everyone out of the dirigible, into the air station terminal, and then right back out again. As Greenie and Reddie exit the terminal, they're surrounded by our heroes and the dirigible's crew. Team Rocket catches up to everyone and tries to grab them. Now it's clear that Greenie and Reddie weren't being mischievous, they were trying to keep the jewelry away from Team Rocket! 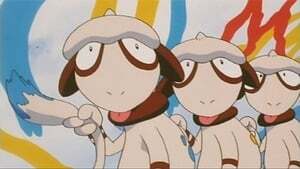 Their owners join Ash in battling Team Rocket and soon Team Rocket goes blasting off, the jewelry box is recovered, and the dirigible can finish refueling and leave. The Nurse Joy at Lake Lucid's Pokémon Center is famous among Water-type Pokémon Trainers, so Misty is thrilled when our heroes' travels take them to the lake. 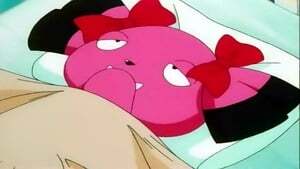 Lake Lucid's Nurse Joy is the third generation of Nurse Joys who have turned Lake Lucid from a toxic pool to a crystal-clear lake where Water-type Pokémon come to rest and recuperate, and she's one of Misty's long-time heroes. Everything goes swimmingly until Misty asks Nurse Joy to examine her Water-type Pokémon. This Nurse Joy actually hates Water-type Pokémon, and she's hated them ever since some Remoraid frightened her when she was a child! Even though Nurse Joy says she still understands Water-type Pokémon and doesn't let personal feelings impair her ability to do her job, Misty refuses to believe a word of it. She's angry and distraught that her idol doesn't even want to touch Water-type Pokémon without putting on a special protective suit. 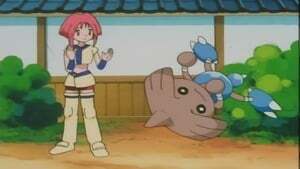 Misty's tour of the Pokémon Center is interrupted by Team Rocket, who burst in with a beat-up Tentacruel submarine and try to steal the Center's Pokémon. They're soon defeated, but Nurse Joy's protective suit is lost and a Gyarados becomes agitated when its tank is destroyed. As the only one with the training and experience to handle the situation, Nurse Joy steps up and calms Gyarados down, suit or no suit—she may hate Water-type Pokémon, but her duty takes precedence over fear. Even though Nurse Joy isn't magically cured of her hatred for Water Pokémon, Misty realizes she may have judged too harshly and leaves with a newfound respect for Nurse Joy's dedication. 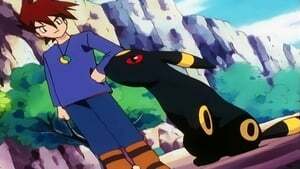 Episode 50 - Got Miltank? The way to Olivine City and Ash's next Gym challenge lies across a desert of sand and rock. 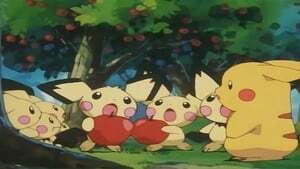 Just as Ash and his friends start to cross it, Team Rocket ambushes them and scoops up Pikachu. 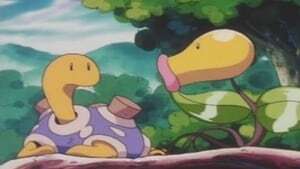 Cyndaquil is injured in the battle with Team Rocket, which ends when it uses Flamethrower on Weezing's Smokescreen and triggers an explosion that frees Pikachu but knocks Cyndaquil into the depths of the desert. However, local tales say that sick or injured Pokémon that enter the desert will return to their Trainers in great shape, almost as if the desert contains a hidden oasis. Cyndaquil tries to find its way back, but when it collapses with weariness, other Pokémon come carry it away. After Team Rocket crash lands in the desert, Meowth is spirited away by other Pokémon too! 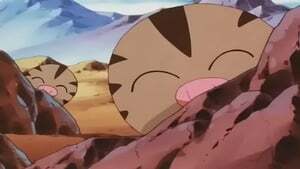 Both injured Pokémon are whisked off to an oasis inside a hollowed-out mountain, where a Miltank heals them both. 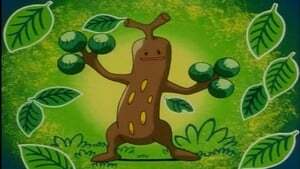 Team Rocket follows Meowth to the mountain, but they're turned away by a group of Exeggutor guards. 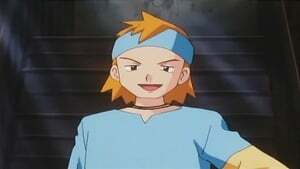 Ash and his friends also find their way to the mountain, but use Brock's Onix to burrow past the guards. 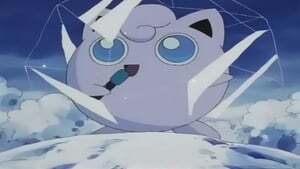 Once they get inside, the Pokémon in the oasis spring to its defense. As Meowth explains, this is no place for people—these Pokémon want to be left alone! 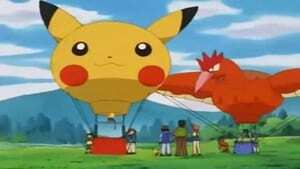 Team Rocket drops in with their balloon and order Meowth to help steal the Pokémon, but Meowth refuses to battle. Team Rocket's other Pokémon refuse to attack, too! Undeterred, Team Rocket grabs Miltank and overpowers Meowth, but they're soundly beaten by Cyndaquil. 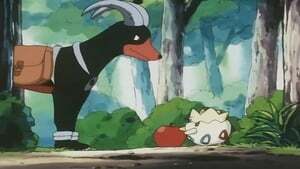 Now that Miltank and the other oasis Pokémon realize Ash means no harm, he can reunite with Cyndaquil and peacefully continue on his way. Episode 51 - Fight for the Light! Our heroes reach Olivine City and make a beeline for the Gym, where Gym Leader Jasmine accepts Ash's challenge. Jasmine sends out a gleaming Onix that easily defeats Ash's Totodile, even though Onix should be vulnerable to Totodile's Water-type attacks. But then the real Jasmine enters the room—the "Jasmine" that Ash battled is really Janina, Jasmine's apprentice! And as Janina later reveals to Jasmine, she coated her Onix in waterproof wax, a misguided cheat that earns Janina a time-out from the Gym. Jasmine herself is too worried about "Sparkle" to deal with a Gym challenge. This leaves Ash to wander the city, wondering what to do next. He runs into Janina, who apologizes to him and says that Jasmine is at the Shining Lighthouse on the wharf; since Ash wants to ask Jasmine when she'll be ready for a battle, he heads there right away. Inside the lighthouse are Jasmine, her grandpa Myron, and Jasmine's Ampharos, Sparkle, who provides the light for the lighthouse. Sparkle isn't feeling well and Janina's still on a time-out, so it's up to Ash and the gang to pick up Sparkle's medicine from Cianwood City. 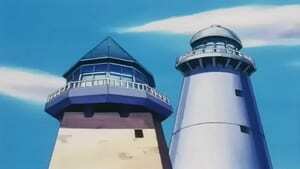 Before they can leave, Team Rocket attacks the lighthouse, catching Sparkle and Brock in a cage. Janina sees the commotion and comes to the rescue; without the wax coating, Onix can't pursue Team Rocket across the water, but it can certainly snag the cage and halt Team Rocket's getaway. 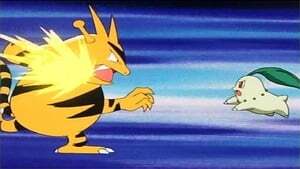 Janina climbs up Onix to free Brock and Ampharos, then orders Onix to send Team Rocket for a loop. Janina is now back in Jasmine's good graces, and she gladly accompanies our heroes to Cianwood City! Episode 52 - Machoke, Machoke Man! 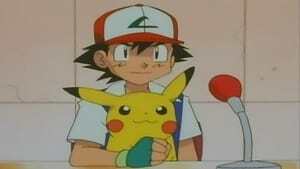 Ash and his friends are in Cianwood City with Janina, an apprentice at the Olivine Gym. 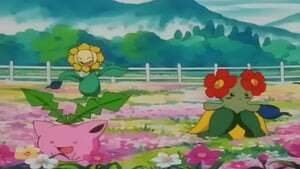 Janina picks up medicine for Olivine Gym Leader Jasmine's ailing Ampharos and returns to Olivine while Ash plans to challenge the Cianwood Gym. Before he does, though, he goes to investigate a man and a Machoke who are sparring on the beach. 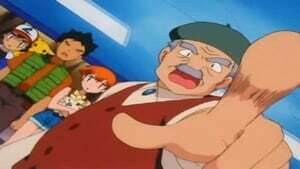 The man happily orders everyone to the Cianwood Gym—he's none other than Chuck, the Cianwood Gym Leader! Ash's challenge is accepted and a 2-on-2 Gym battle begins. 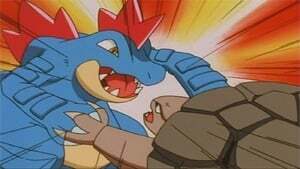 Chuck starts with a Poliwrath; Pikachu should have the advantage as an Electric-type, but it's defeated by Poliwrath's physical strength and Double-Slap attack. 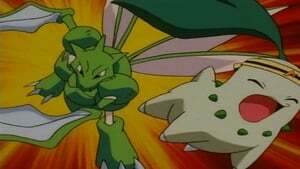 Ash counters with Bayleef, using its type advantage to beat Poliwrath, so Chuck sends in his Machoke. In the meantime, Team Rocket sneaks into the Gym and gobbles up an unattended meal. They're spotted by Chuck's wife, who mistakes them for students and assigns them to chores. Back at the battle, Bayleef doesn't appear to be making headway. It uses Vine Whip to grab Machoke's arms, starting a tug-of-war, and Ash wants Bayleef to tough it out for a face-to-face battle with Machoke. Machoke reels Bayleef in, but Bayleef turns it around and knocks out Machoke, winning Ash the Storm Badge! 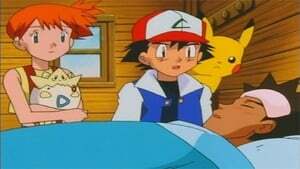 Since Jasmine still isn't ready to battle yet, Ash takes up Chuck's suggestion of a detour through the Whirl Islands. Chuck's wife gives them a free ferry pass and our heroes are on their way!